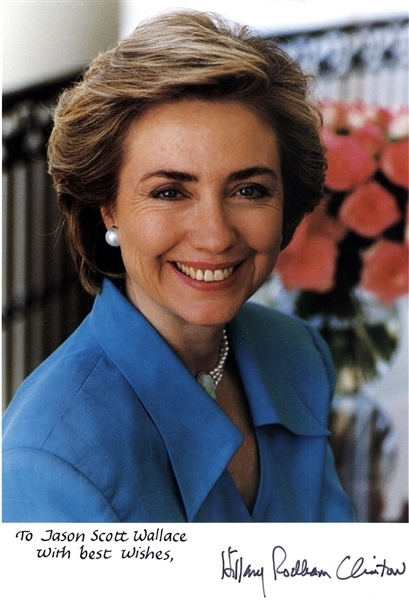 CLINTON, Hillary Diane Rodham (b. 1947) is an American politician and diplomat who served as the First Lady of the United States from 1993 to 2001, U.S. Senator from New York from 2001 to 2009, 67th United States Secretary of State from 2009 to 2013, and the Democratic Party's nominee for President of the United States in the 2016 election, losing to Donald Trump. Photograph Signed “Hillary Rodham Clinton” nice color 8”x10” bold signature. Fine condition.